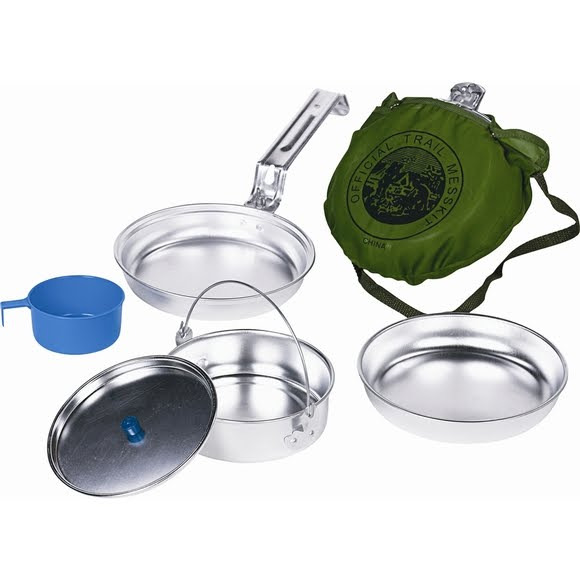 Be the head chef at camp with Wenzel's Deluxe Mess Kit. Made from heavy gauge aluminum but designed to be light, it includes a cup, fry pan, plate, cook pot and lid. What deluxe meal will you cook up? Be the head chef at camp with Wenzel &apos;s Deluxe Mess Kit. Made from heavy gauge aluminum but designed to be light, it includes a cup, fry pan, plate, cook pot and lid. What deluxe meal will you cook up?